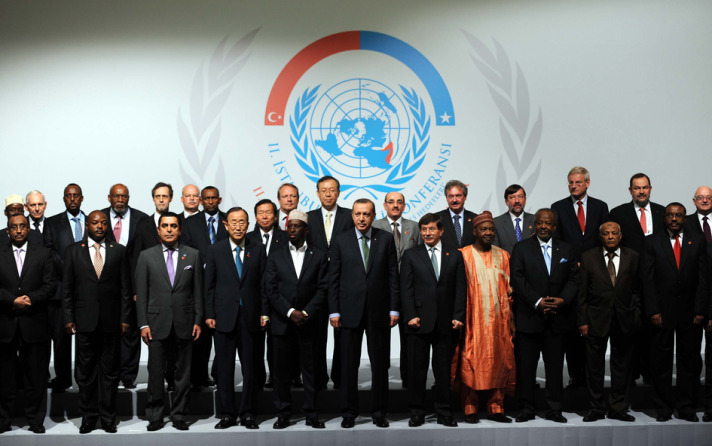 The Second Istanbul Conference on Somalia took place in Istanbul, Turkey from 31 May to 1 June 2012. The Conference, which followed an initial event held in 2010, was attended by several representatives of Somalia’s government, autonomous regions, tribal elders and diaspora, as well as of the international community. Under the theme “Preparing Somalia’s Future: Goals for 2015”, the Conference focused on long-term and multi-dimensional solutions to the country democratization process, including recovery, social and economic development and peace consolidation. Organized in partnership with the United Nations, the Conference is the lastest effort in Turkey’s growing engagement in Somalia. In recent years, Turkey launched a major diplomatic, economic and humanitarian campaign culminating with the visit of its Prime Minister to Mogadishu and the opening of an Embassy in 2011. Turkey’s “ soft power” efforts have drawn praises as well as some concerns, particularly by the US and Ethiopia. Obviously, piracy featured in the Conference Agenda. However, also in light of the upcoming specialized Second International Counter-Piracy Conference in Dubai, UAE on 27-28 June 2012, the International Piracy Conference in Perth, Australia on 15-17 July 2012 as well as the Plenary Meeting of the Contact Group on Piracy off the Coast of Somalia, in New York, USA on 25 July 2012, the discussion focused on broader issues affecting the country’s justice and security sectors, such as inter-clan conflict, violence, corruption and misappropriation of funds, kidnapping, terrorism and human rights abuses. The Conference Final Declaration can be found here.